(Prisoner of War) 1915 1c. 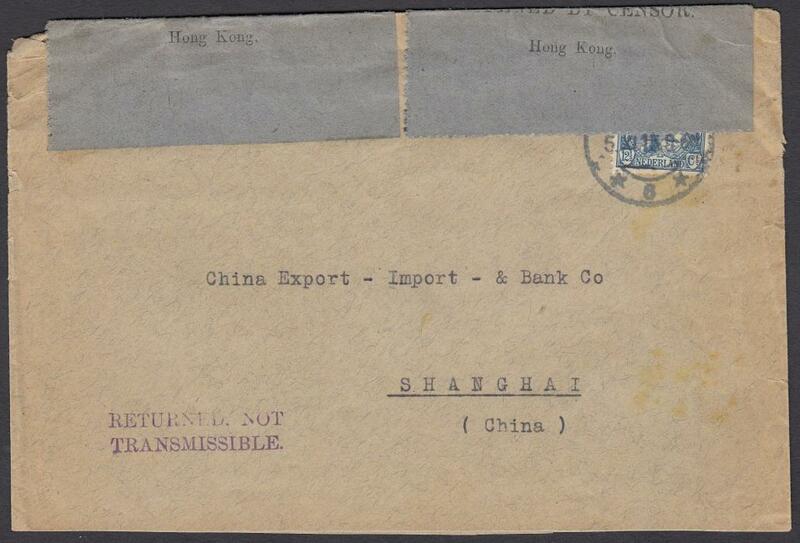 postal stationery card to Shanghai cancelled with double-ring cds, to left faint triangular Prisoner of War cachet and PASSED BY CENSOR handstamp below, repeated on reverse. Printed Christmas New Year greeting. 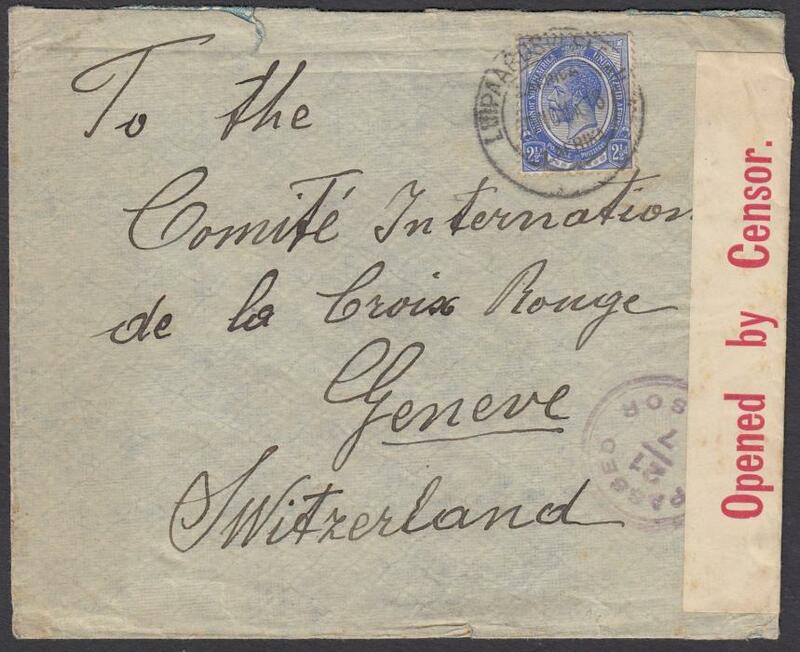 1901 (11 Sep) Great Britain 2d. 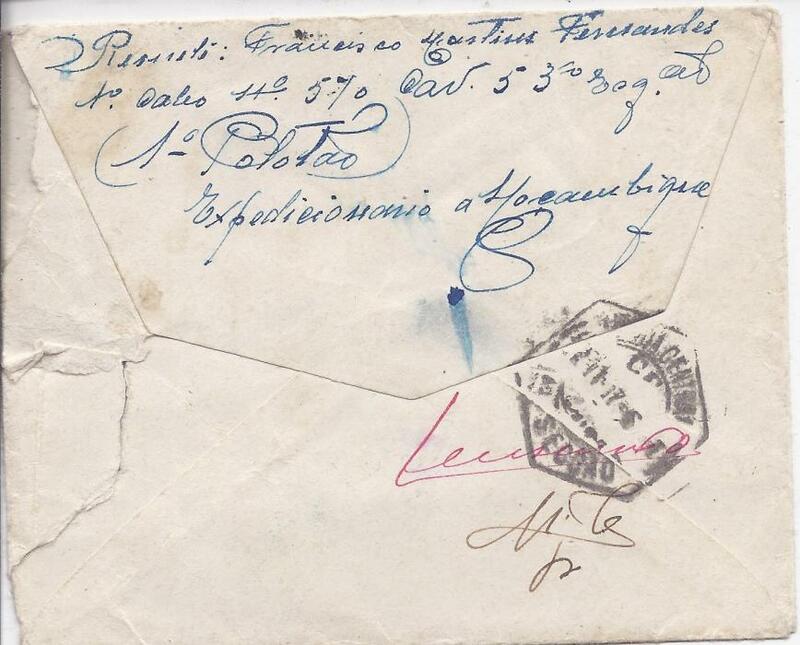 registered postal stationery envelope uprated 1d. 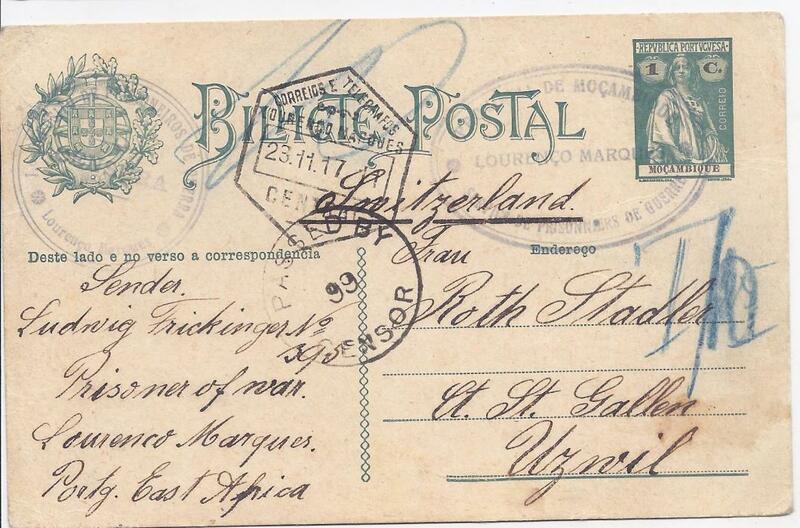 lilac from Thaba N�chu to Worcester cancelled Field Post Office British Army S.Africa cds. 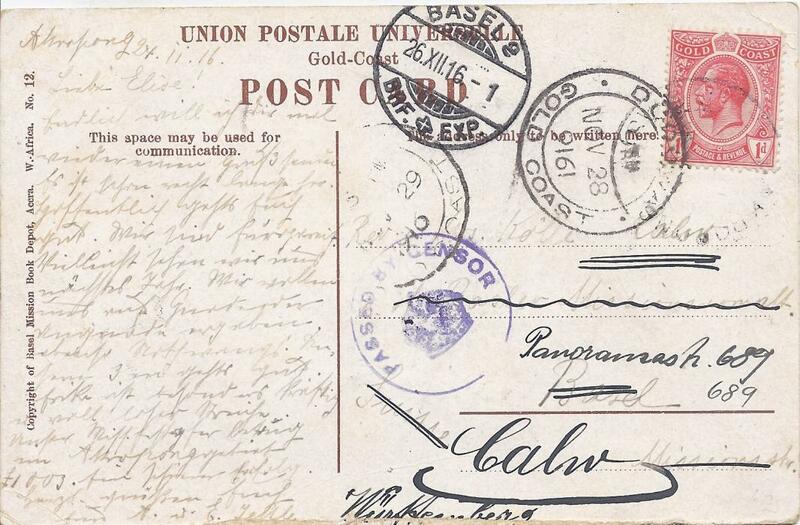 1902 registered cover to Camp in India franked 3 x Great Britain 1d KEVII tied 'ARMY POST OFFICE/PIETERSBURG' cds, triangular censor cachet applied on despatch; reverse with extra despatch cds, DURBAN Natal transit, TUTICORIN transit and arrival cds. 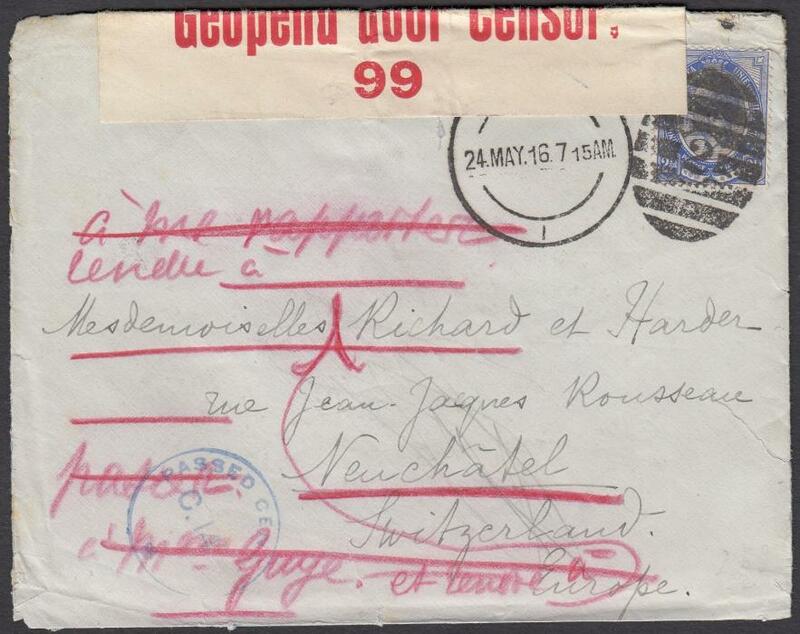 1915 (5.XI) cover from Netherlands to Shanghai, China, routed via Hong Kong where two blue 'OPENED BY CENSOR/Hong Kong' sealing labels at top and fine two-line 'RETURNED.NOT/TRANSMISSIBLE' handstamp at base applied; the envelope cut open for display. 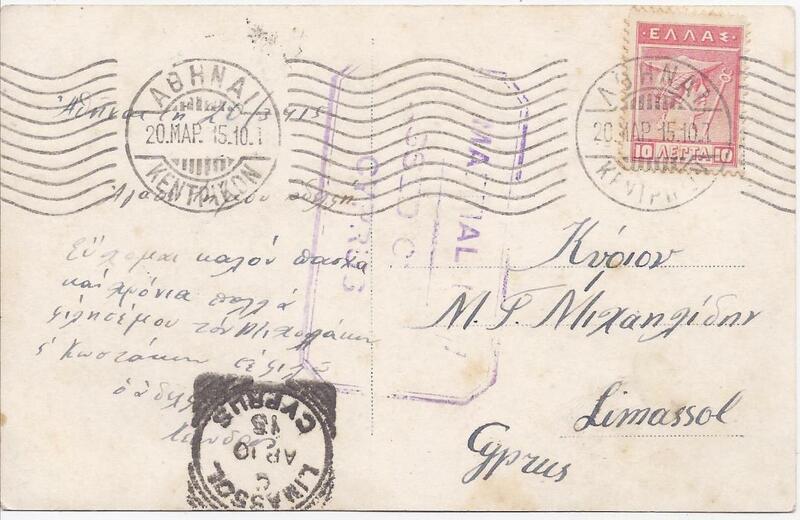 1915 picture postcard from Athens, Greece to Limassol with despatch and arrival cancels and large violet �MARTIAL LAW/ PASSED CENSOR/ CYPRUS� at centre; fine condition. 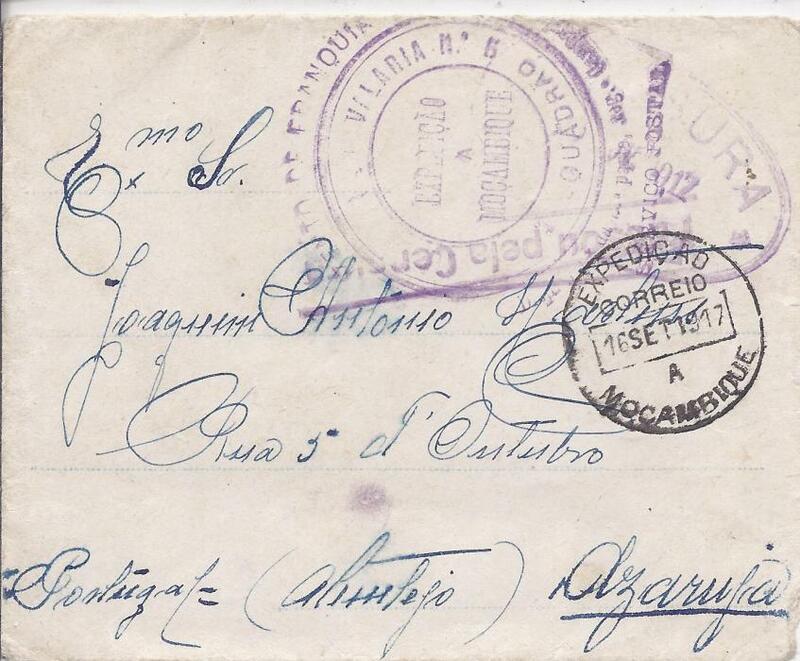 1916 (24 MAY) cover to Neuchatel, Switzerland, franked 2�d tied '2' barred numeral with cds alongside, bilingual censor strip, blue 'PASSED CENSOR/C.14' cachet, reverse oval framed 'CENSOR/CAPETOWN' date stamp and arrival machine cancel. 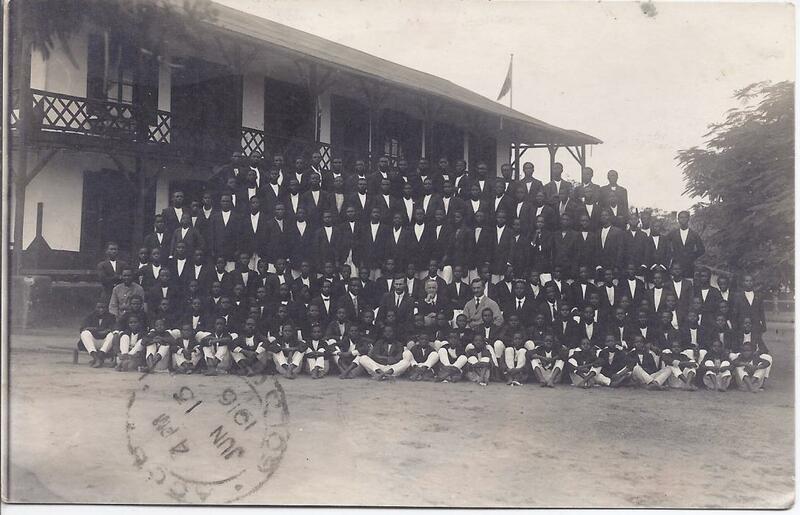 1916 photographic picture postcard of a school group to Switzerland franked 1d. 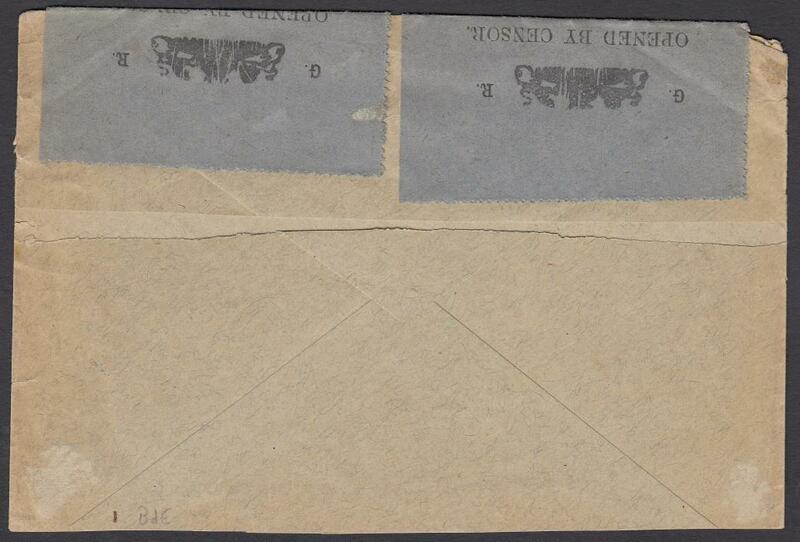 tied Accra date stamp, censor cachet at centre, redirected internally upon arrival. 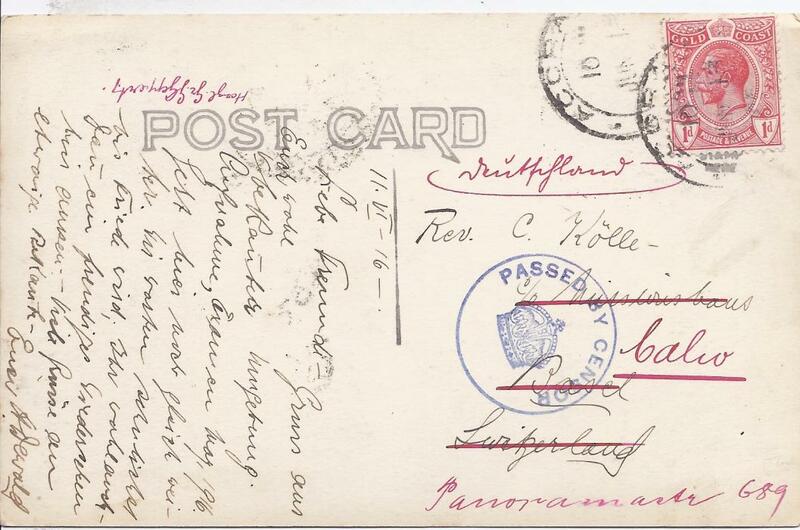 1916 picture postcard of Abokobi to Switzerland franked 1d., written from Akropong with unclear despatch date stamp, Dodowa cds alongside showing inverted year slug �9161�, censor cachet at centre, Basel arrival cds. 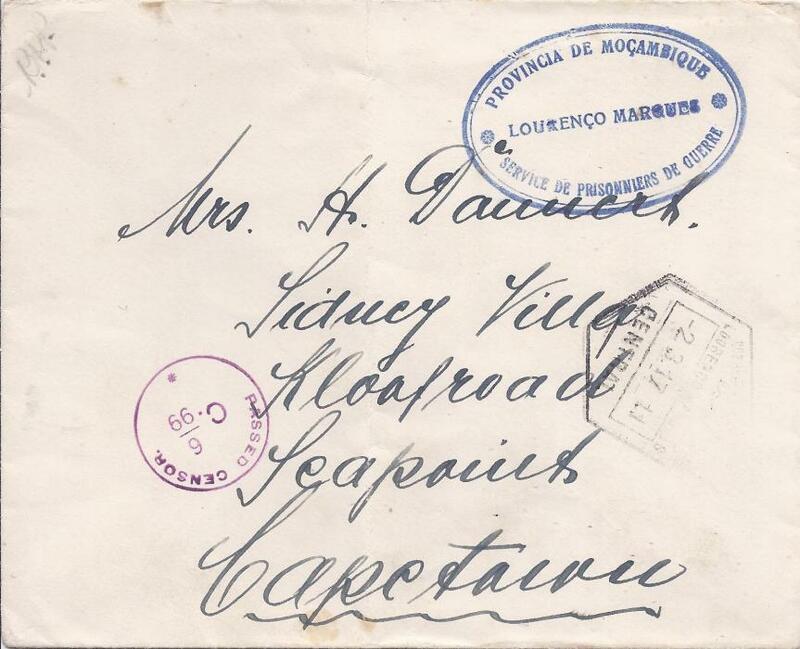 1917 stampless cover to South Africa bearing blue double-ring P.O.W. 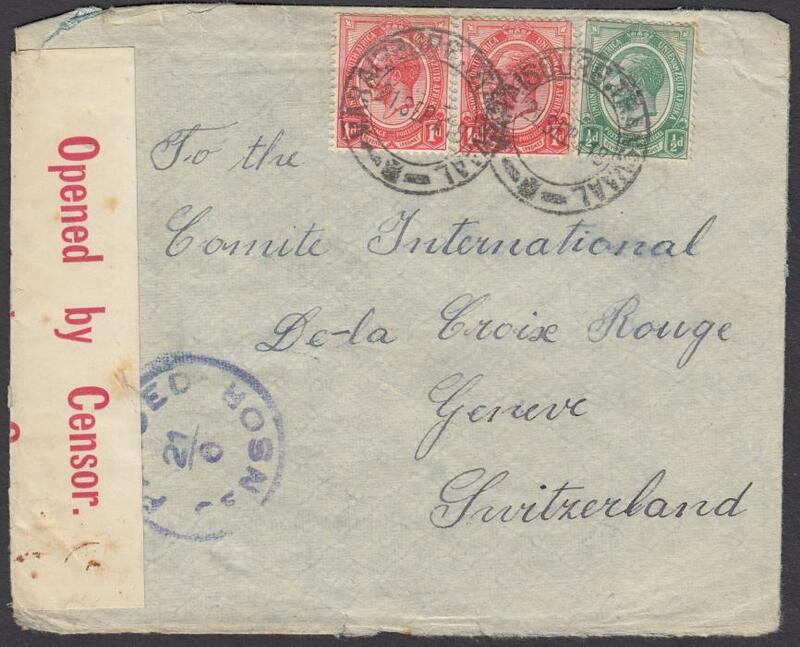 cachet, dispatch hexagonal cancel below and red South African censorship; light vertical filing crease. 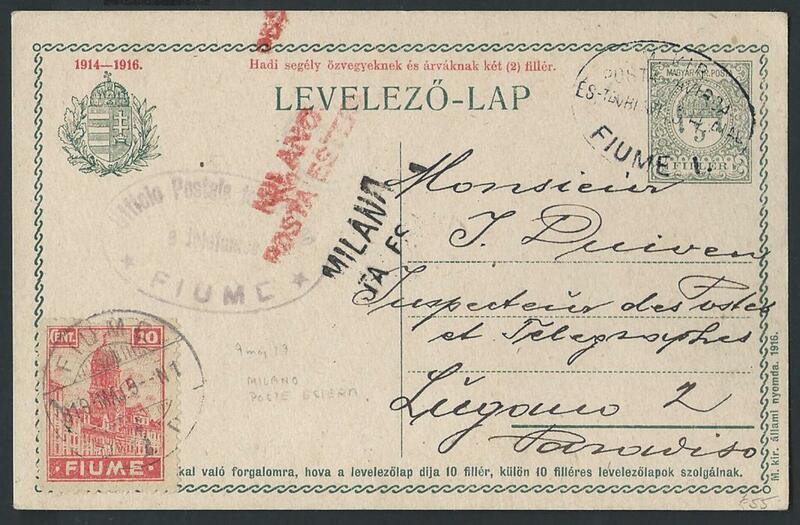 1918 censored envelope to the Red Cross at Geneva, Switzerland, franked KGV 2�d tied 'LUIPAARDS-TRANSVAAL' cds. 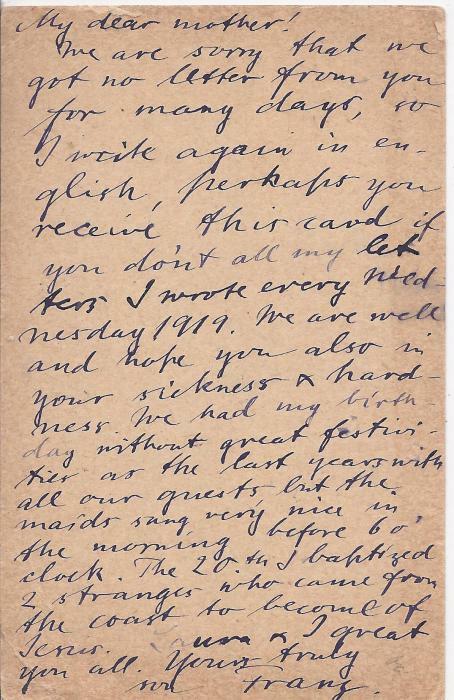 Written by German POW on parole at Maraisburg. 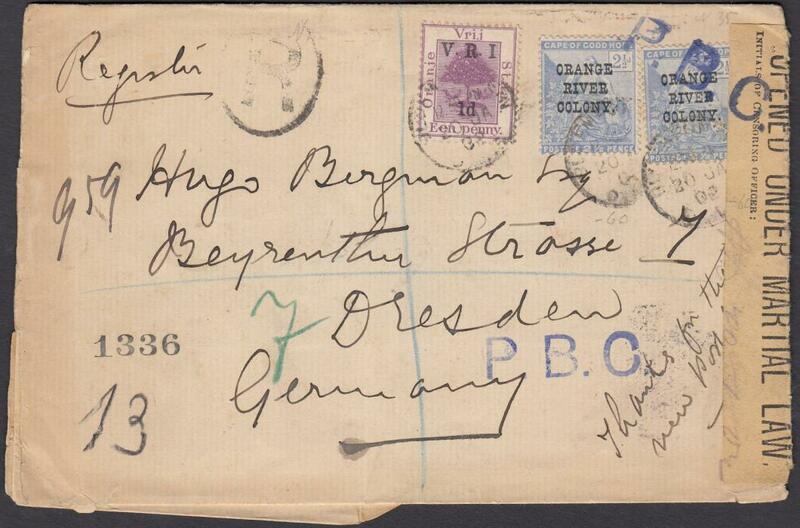 1918 censored envelope to the Red Cross at Geneva, Switzerland, franked KGV �d and 1d (2) tied 'MARAISBURG-TRANSVAAL' cds. 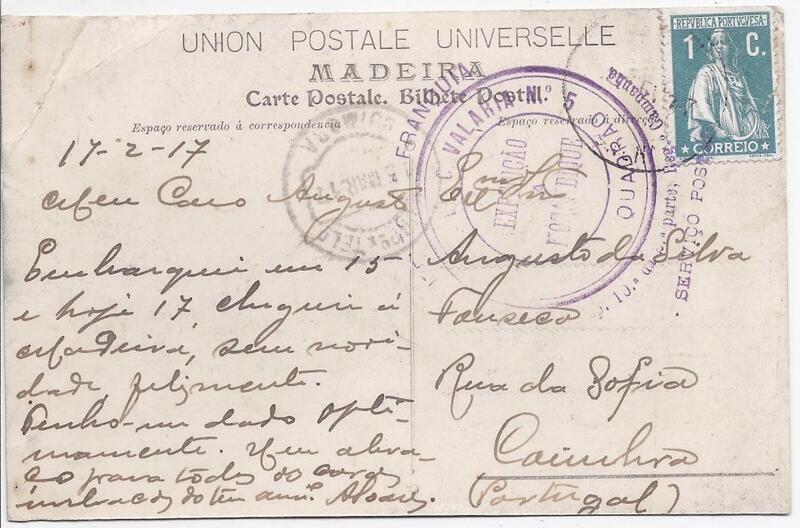 Written b;y German POW on parole at Maraisburg. 1919 3c. 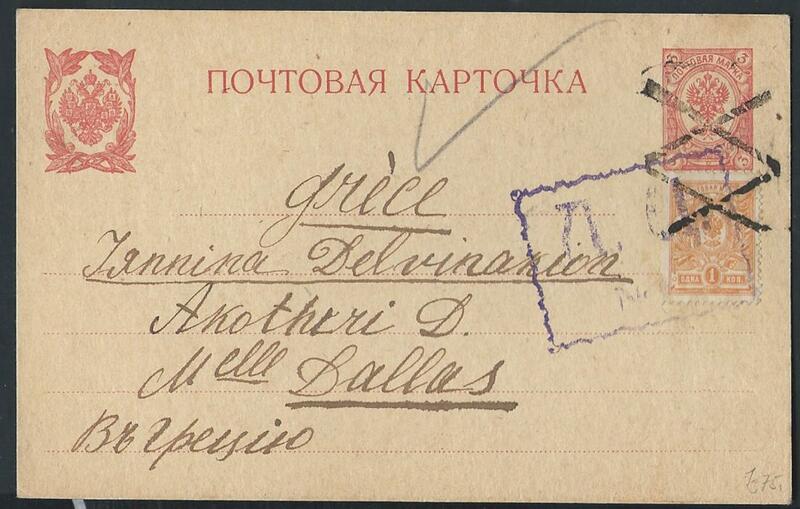 postal stationery card, uprated 3c. 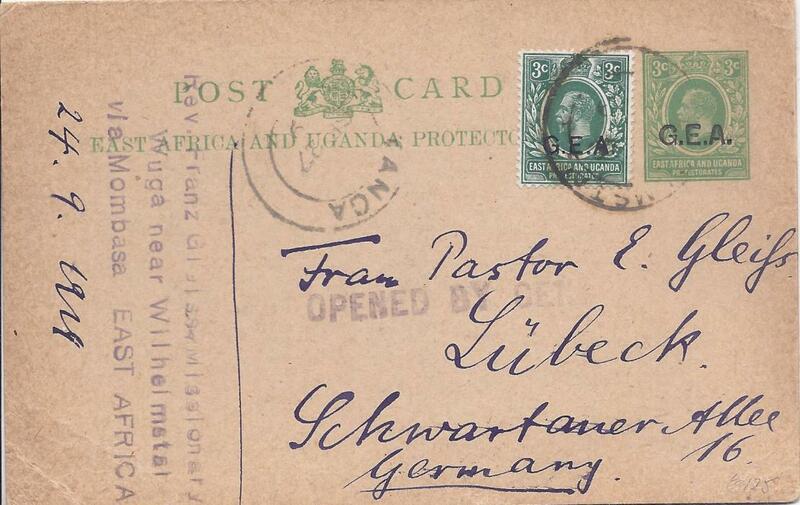 to Germany with unclear dispatch cds, Tanga transit alongside,senders address as Wuga, near Wilhelmstal, straight-line OPENED BY CENSOR at centre. The message starts "We are sorry that we got no letter from you for many days, so I write again in English...."